WILLEMSTAD - The Plaza Hotel has not yet sold its entire inventory. After two auctions, 40 percent has not been sold yet. The auctions are necessary because the hotel is bankrupt and the main creditors are trying to get as much as possible to pay the debt. The first auction of the building complex itself failed when a buyer did not come over the bridge with the money. Next Thursday there is a third auction day. Then everything must be gone. Many in the community are hoping that the hotel will be sold as soon as possible. 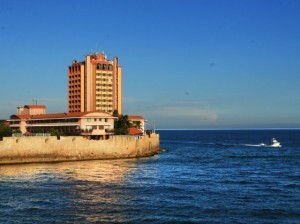 it is the highest building on the island and very imposing in the city center.